On September 11th and definitely by September 12, the Obama administration should have known that something was brewing in Egypt and Libya. And, by Wednesday morning, the 12th, the news of the deaths of our diplomatic staff should have reached Washington. 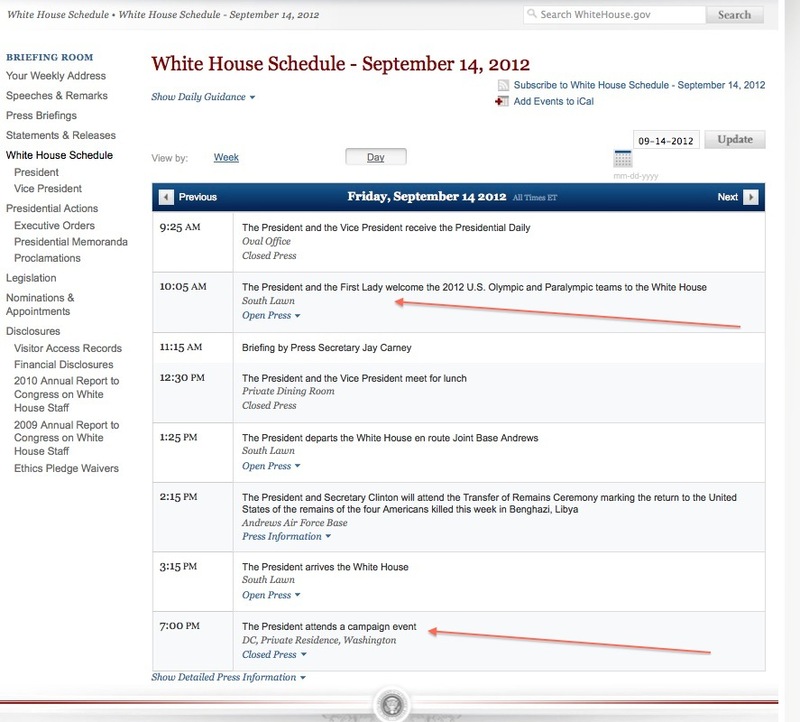 With that in mind, here is the President’s schedule on here’s a look at President Obama’s schedule on that day. 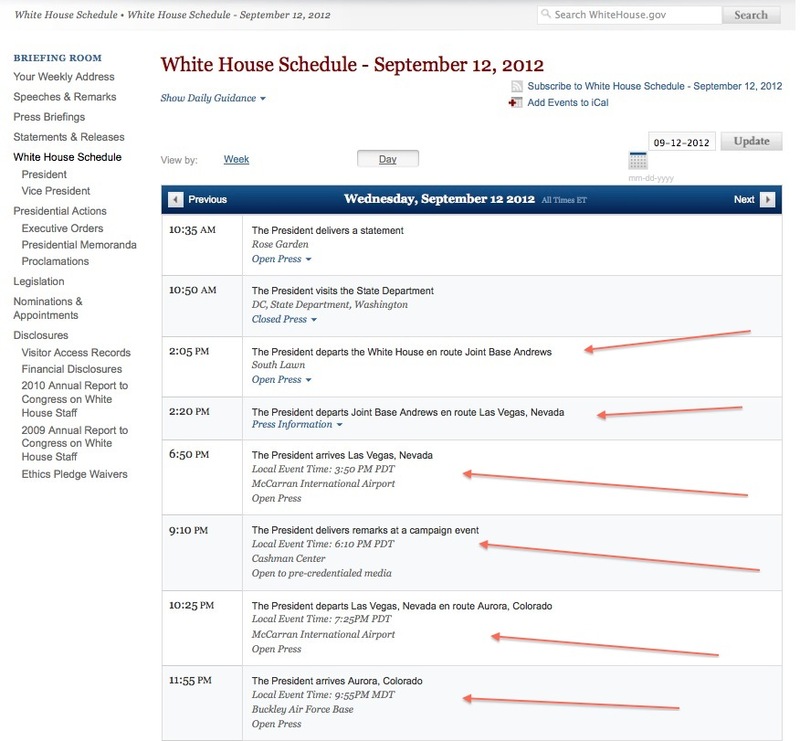 You can check the veracity of my screenshots, here, at the White House. Despite the burgeoning crisis, Obama leaves Washington to campaign. 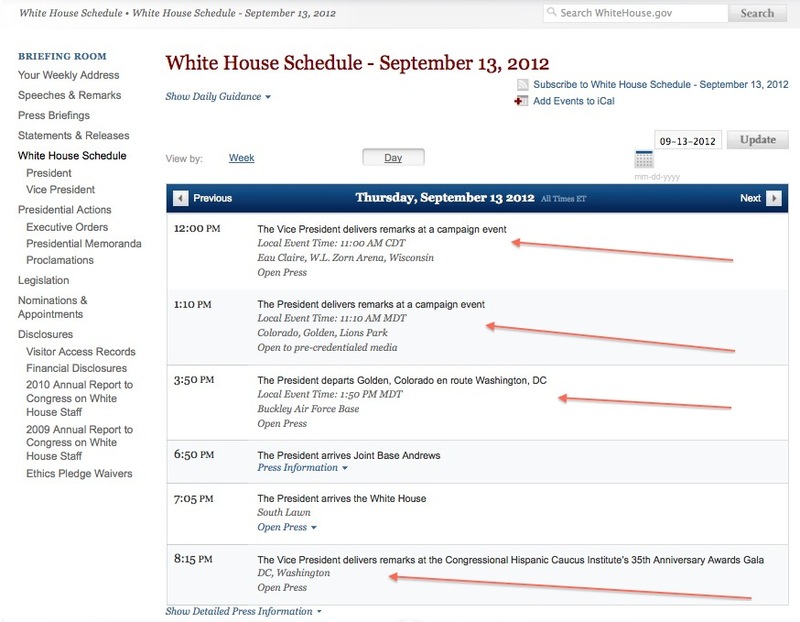 The next day, Obama is still campaigning, and when he does come back to Washington, he’s at a party by 8:15 pm. 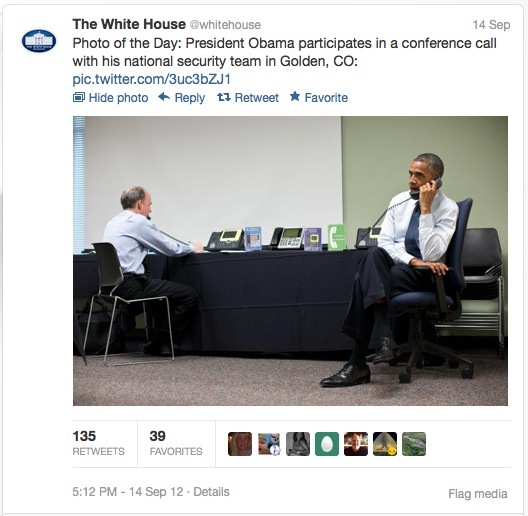 On Friday, with unrest spreading throughout the Muslim world and with several American universities evacuated due to threats from Al Qaeda (not proven, but considering the events of the week, still credible), President Obama finds time to great Olympic athletes and attend a campaign event that evening. Do you get the feeling that affairs of state are getting in the way of Obama’s preferred lifestyle of travel, dinners, and parties? When the President of the United States leaves Washington during a crisis and he phones in a national security meeting between campaign events, it tells me that he isn’t the man for the job.